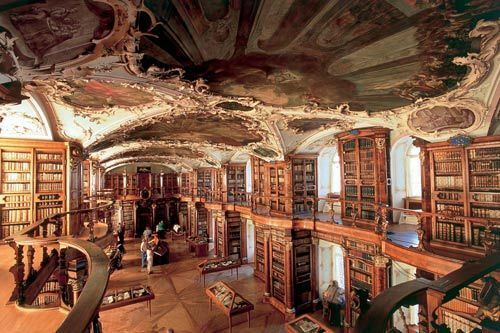 This Swiss monastic library has manuscripts dating back to the 8th century. For that alone, I MUST GO TO THERE. Seriously! It makes me want to become a Swiss monk, just so that I could live there.